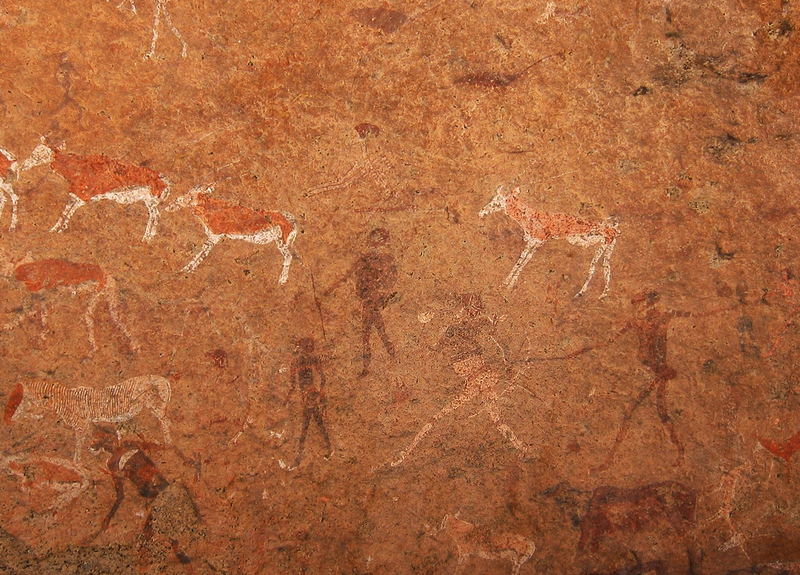 The painted rock art sites of the Brandberg are numerous, with over 1,000 known rock shelters. One of the most famous - for various reasons - is the White Lady of Brandberg site. Neville Agnew, Getty Conservation Institute, Los Angeles, organised an international colloquium on rock art, held in Namibia from 21 April to 1 May, 2017. As part of the colloquium, the group visited several rock art sites in the Brandberg. The White Lady of Brandberg is a rock painting, located on a panel, also depicting other art work, on a small rock overhang, deep within The Brandberg, Namibia's highest mountain. The Brandberg, or Daureb in Damara, both meaning Burnt Mountain, is on Namibia's tentative list for World Heritage nomination. It is a national heritage site. The San are generally believed to be the descendants of the rock-painters. 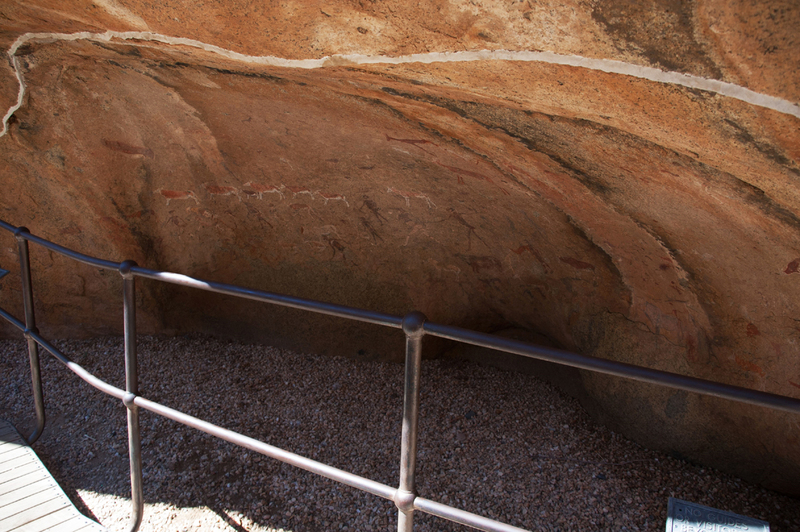 The White Lady of Brandberg figure is thought to be at least 2,000 years old, but other paintings in the rock shelter are believed to be much older. Note from the Editor: the trek up into the Brandberg, in pretty intense heat, added greatly to the excitement of reaching this spectacular rock art site. The paintings are quite beautiful, and the infrastructure to protect them is reassuring and effective without being obtrusive.